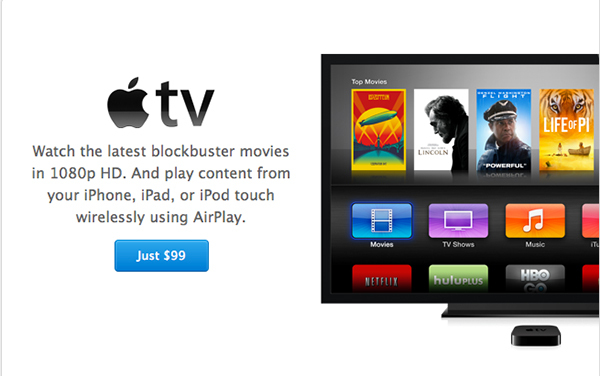 Shortly after unveiling iOS version 7.1.1, Apple also released version 6.1.1 of the Apple TV software. 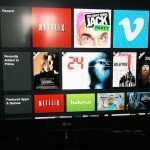 The update is compatible with second- and third-generation editions of the streaming video box. We’ll definitely update you when we have the details of what’s in the update. 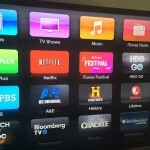 To download the software on your Apple TV, navigate to Settings, General, and then Update Software. Version 6.1 of the software arrived back in March. That brought the ability to hide or rearrange channels quickly and easily from the main screen. To do that, choose an item and then hold the Select button on the remote control. When the icon jiggles, like on iOS, users can move or hide the icon. On Monday, Apple added three new channels to the device – A&E, The History Channel, and Lifetime. Some content is available to users for free, but a subscription to a cable or satellite provider is needed to unlock the full experience. Right now, Direct TV, Version FiOS, and Cablevision Optimum subscribers are supported. More providers are expected to be added soon. The new channels are only available in the United States. Apple is expected to release a revamped version of the Apple TV hardware soon to compete with Amazon’s new Fire TV and other similar devices.